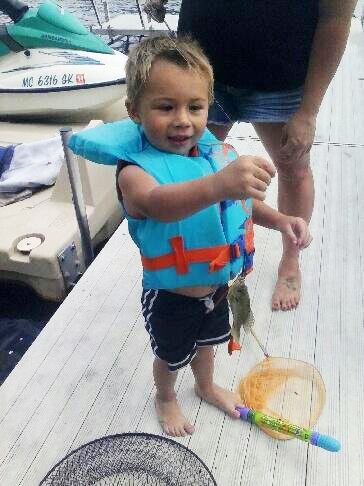 Tag Archive | "Little Whitefish Lake"
Caleb Kwiatkowski showing off his bluegill. Grace Kwiatkowski with her rock bass. These are two happy fishermen from the Kwiatkowski family, of Howard City. The kids did some fishing at their great-grandparents’ house on Little Whitefish Lake, in Pierson, last month, and came away winners. 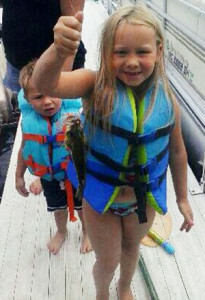 Grace Kwiatkowski, 6, was so happy to catch this rock bass, and Caleb, 3, got a thrill out of catching this bluegill! Congratulations, Grace and Caleb, you made the Post Catch of the Week! 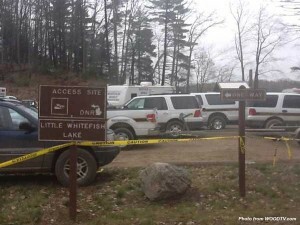 Emergency teams searched Little Whitefish Lake last Friday and Saturday for Dalton Gustinis, 15. Facebook photo of Dalton Gustinis. A fishing trip ended in tragedy for three Tri County High School teens last week, when one of the three drowned in Little Whitefish Lake, in Pierson Township. According to the Montcalm County Sheriff Department, the three boys headed out to fish in an aluminum rowboat about 10:30 p.m. on Thursday, March 29. Awhile later the boat began to take on water and capsized. The three teens attempted to swim back to shore, but when two of them arrived on shore, they realized their friend, Dalton Gustinis, 15, was missing. The Montcalm County Sheriff Office dive team was dispatched to the scene about 12:30 a.m. Friday morning, March 30. Deputies from both Kent and Ottawa Counties were requested to assist with the search using side scan sonar and a Video Ray remote operated vehicle. Emergency teams took a break from the search Friday night and resumed the search Saturday morning. Deputies found the teen’s body in 32 feet of water about 2 p.m. Saturday, March 31, using sonar and the ROV. Montcalm County Sheriff’s Deputies were assisted by numerous agencies and individuals during the search, including Sand Lake Fire Department, AeroMed, Montcalm EMS, Kent County Sheriff’s Department, The Salvation Army, Howard City Fire Department, Lakeview Fire Department, Montcalm County Road Commission, Ottawa County Sheriff’s Department, K-9 One, and numerous volunteers. Tri County High School had grief counselors at the school during the day Friday, and a candlelight vigil was held Friday evening at the lake by friends and family.